The slogan at Smashburger is "smash, sizzle, savor." And, if you like your burgers smashed to about a quarter-inch thickness and sizzled on a griddle, this is the burger for you. 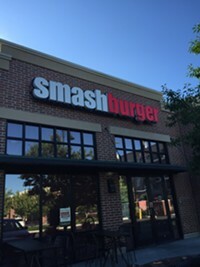 At Smashburger in Salt Lake City, the burgers are made with 100% Angus Beef, smashed, seared and seasoned on the grill, then placed on a butter-toasted artisan bun and topped with the cheese, fresh produce and condiments. At Smashruber you have a choice of a 1/3 or 1/2 pound burger or, if you'd like to march to a different drummer, try the Smashdog. If you like the fries at McDonald's, you'll like these, too.